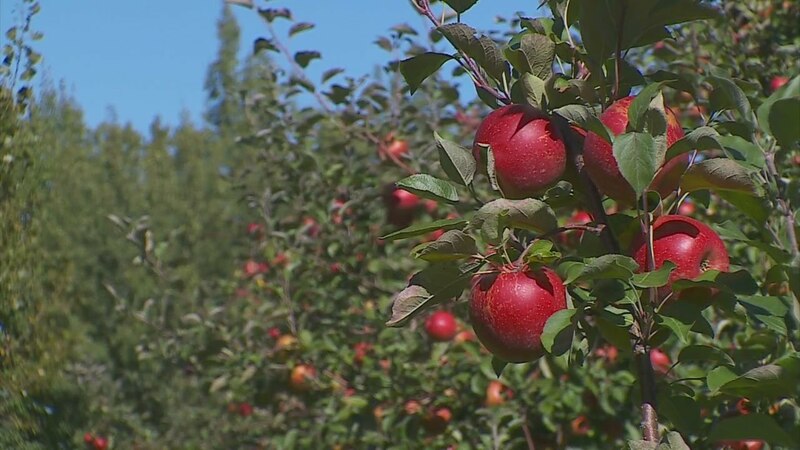 Taking care of an organic orchard is a dynamic process that takes into account many different factors, such as soil health, mulch, liquid fertilizers, foliar sprays, and more. We understand that an orchard is more than just trees, it is a full on ecosystem. Green Guilds’ organic orchard maintenance program takes into consideration the site conditions, species, and needs of the client to create long-term sustainable systems. 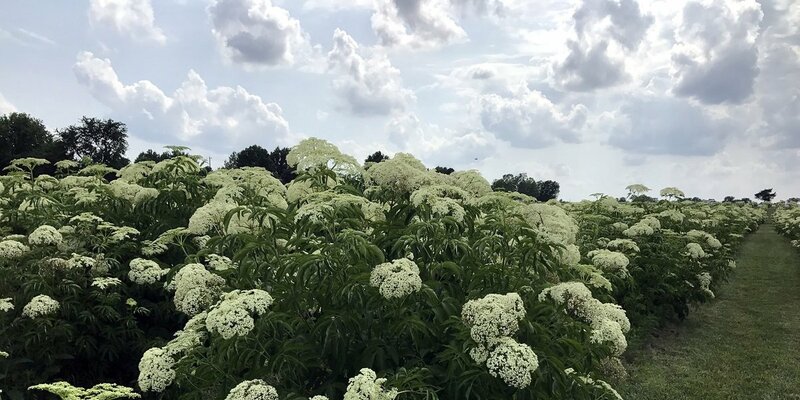 We incorporate pollinators, support species, soil health, supplemental nutrients, and natural pest deterrents to establish low maintenance orchards that are high in yield production. Contact us today if you would like to find out how Green Guilds can support you in your organic orchard. We are firmly rooted in organic methods in our maintenance plan. We use foliar spray, beneficial micro-organisms, composts, and minerals to support the optimal health of the fruit trees. We also use companion planting and integrate ecological design. When it comes to pruning fruit trees, it is essential that it is done properly to ensure the health and longevity of the tree, while also increasing the fruit production. Our team has years of experience managing orchards and food forests, let us help you today. 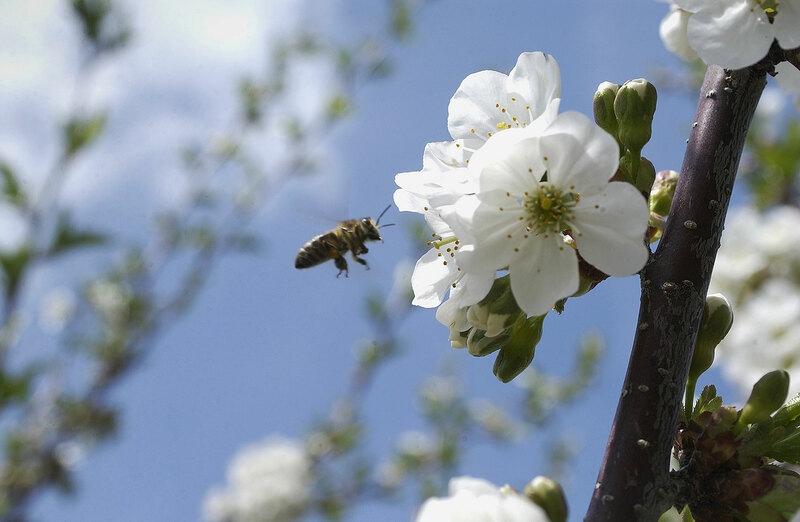 Pollination is essential for productive fruit yields. We work with our honey bee friends, incorporating hives into your orchard and we tend to them throughout the year. We also plant pollinator flowers in the understory that support the trees and attract other pollinators. Increase your productivity, reduce the workload. These days farms are hard make profitable. However with an assessment of the market, your land, and diversification of products, we can help you to make money. Now only will you benefit through increased income, but you will also be supporting the environment while you do it. We can offer you a full scale ecological design, that outlines production potential, profits, target markets, and strategy for sales. These designs are focused on your needs, as well as the needs of the local ecology. We assess what you already have, build of your successes and eliminate that which no longer works. We diversify your earning potential and can even maintain your investment. Find out how we can help you get your land producing even more. We offer stand alone designs as well as maintenance. If you would like to us to create a costom ecological design that you can implement on your own, contact us to find out about our prices and availablity. We offer consultations and bids. We have 13 years of experience in Permaculture design and would love to support you in creating a space that enhances your connection with nature. Find out how we can help you get the most out of your landscape.